Who does not wish to memorize the whole Book of Allah Almighty? Who does not dream that the Quran be his companion in this world? Who does not accept that the Quran be a light for him in his grave? 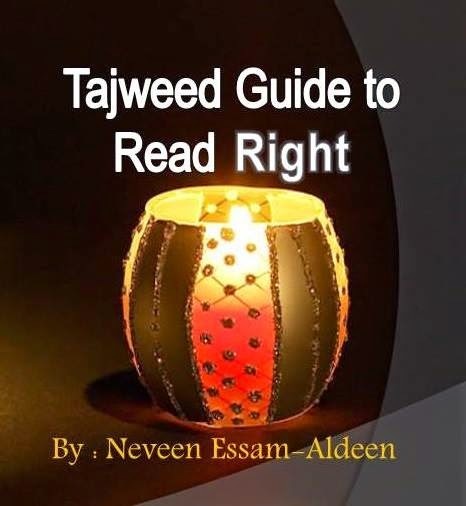 Is there a believer who does not accept to meet with Allah Almighty and he has memorized the Words of Allah?….Wishes are many but achieving them is not easy as some readers believe. All have experienced trying memorizing the Quran but soon they forgot what they had memorized. However, there are persons when they read the Quran; they barely understand anything of it. Notwithstanding, I assure all that those ideas are not true. From my personal experience, I have found that the easiest work a person can perform is to memorize verses from the Book of Allah Almighty. This is not only my experience but everyone who has memorized the Book of Allah and perfected reciting with its rules will tell you the same truth. However, if memorization of the Quran is that easy why many believers suffer from the difficulty of memorization? And we find others complaining from rapid forgetting, what is the solution? So, the divine truth that we should realize first is that Allah Almighty will make memorization easy for who intended good faith on that. He will avail to him suitable circumstances for memorizing the Quran if he determines to memorize it, to go to Allah with a sound heart and to ask Allah assistance. We will start with an important paragraph about the mechanism of the memory so that we will be able through this piece of information to control our memory and make it subject to the will. This way will end oblivion forever. Maybe, the most complex part in the human body is the brain which is responsible for remembering and retrieving information. This is a grace from Allah Almighty that we should appreciate and take care of. You may consider the brain as a computer that needs caring for, maintenance, and required feed. There is an important issue namely we take into account the method of information storage, so that it can be easily retrieved. If storage is associated with understanding, it will be more effective during retrieving. Therefore, we have to understand what we have memorized from available explanations. Also, considering the verses during memorization increases the effectiveness of storing and retrieving. And if we know that the memory memorizes by linking information together, we need to link the verses by considering and broadening the understanding and our imagination. For example, when I want to memorize Surah Joseph (pbuh), I must prepare myself. I need to know this story first and try to identify the wisdom of its presence in the Quran. Why Allah had revealed it to His beloved Mohammed (pbuh). What lessons that we can deduce from this story. We have thus prepared the brain to work and store well just as we prepare a computer to be ready to work. What is the correct way of reviewing what had been memorized before, how can we retrieve things we think we have forgotten? We should know that the subconscious mind of man is a major boon bestowed by Allah on us. However, provided that we use it in doing good and pleasing Allah Almighty. We should know that all things we have memorized will be copied in this subconscious, and they will stay for very long periods. So, we can conclude that caring and training of the subconscious mind continuously lead to take advantage of its memorization abilities, because the apparent mind is quickly oblivious. We can take advantage of the subconscious mind when trained how to contact it. The best times for that are at night before going to bed. So, Allah Almighty mentioned night after mentioning the "heavy message" denoting the Quran. He said, "Soon shall We send down to thee a weighty Message. 6. Truly the rising by night is most potent for governing (the soul), and most suitable for (framing) the Word (of Prayer and Praise). [Al- Muzzammil: The Enshrouded One, Bundled Up: 5-6] Night is the perfect time for reflecting upon, thinking and establishing memorization. Therefore, you should wake up even for an hour or half an hour at night and review what you have memorized from the Quran. The result will be impressive and I can tell you dear reader that I have memorized Surahs and reviewed them in this way. Years or months may have passed because of my preoccupation of miracle sciences. Then, I recalled these Surahs, I remembered them as if I memorized them yesterday! There is a question about the endings of verses where they mix with other endings for many brothers who want to memorize the Quran. What is the way to ensure not to confuse between these endings, namely, how can we identify an ending from the others? This is a holy text comprising of 3 verses, each verse has an ending different form the other, how can we assure that our memorization is correct and we do not err? 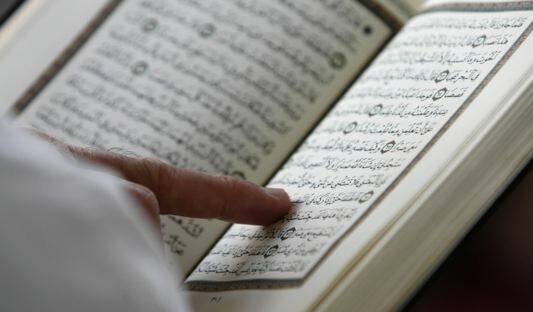 We should consider this holy text and consider each verse, what it means and we ask why the first verse ended with Allah saying, “and Allah is Exalted in power” and the second “for Allah is Oft-forgiving, Most Merciful” and the third “and Allah hath power over all things” and how to differentiate between them? The second verse talks about repentance from these sins “But if the thief repents after his crime, and amends his conduct, Allah turneth to him in forgiveness;” Whoever repents from theft and reconditions, Allah will forgive and bless him. So, the verse ended with Allah’s almighty saying “for Allah is Oft-forgiving, Most Merciful” Consider with me the wording of the verse that validated Allah’s mercy and forgiveness. In the third verse, we find a speech about Allah sovereignty and capability of torturing “Knowest thou not that to Allah (alone) belongeth the dominion of the heavens and the earth? He punisheth whom He pleaseth, and He forgiveth whom He pleaseth:” So, it was necessary to end this verse with the saying “and Allah hath power over all things”. 4. So, I can tell you brother reader that little consideration saves you a lot of time and you will gain impressive results regarding memorization the Book of Allah Almighty. How can one learn, practice and master the rules of reciting without a need for a teacher? Listening to the Quran is the best means for mastering reciting rules. Hearing is not enough; one must listen and listen attentively. So, Allah did not say “listen to it” only, but He said, “When the Qur'an is read, listen to it with attention, and hold your peace: that ye may receive Mercy.” [Al-A’raf:The Heights: 204]. Listening attentively is a kind of consideration in the way of pronouncing words as we hear them. We try to imitate what we hear. We repeat the verses with the one who recites on a recorder, a computer or a TV. This does not prevent us, whenever the circumstances allow, to resort to one of the memorizers who master the rules of reciting. We have him listen to what we recite so that he corrects what we have read. We should know that we cannot abandon our teachers and scholars, but we should go to them every now and then. What is the perfect way to review what has been memorized from Surahs and parts? The perfect way for reviewing is to read what you have memorized in your prayers. I still remember those nights when I was standing in front of Allah Almighty and reading in one kneeling a relatively long Surah such as Surah Isra (The Night Journey), Joseph, or Al-Kahf(The Cave). I used to find much pleasure in this long prayer. Therefore, I advice every young man and girl to taste the pleasure of long prayer and read a whole Surah from the long memorized Surahs in one or two kneeling. Maybe, things are difficult at the beginning but after that prayer at night will be the best moments that a believer may have. Here, we remember the words of Allah Almighty ordering His beloved Apostle Mohammed (pbuh) to pray at night and prolong in kneeling, “And pray in the small watches of the morning: (it would be) an additional prayer (or spiritual profit) for thee: soon will thy Lord raise thee to a Station of Praise and Glory!” [Al-Isra: The Night Journey: 79].